What is the cut off time for next day delivery if I order Lexmark X464de toner cartridges? Are you comparing most affordable prices on all Lexmark laser toners? Ordering a replacement Lexmark X464-de toner cartridges from right here makes it possible for you to begin saving loads of time and expense. Thanks to our competitive rates and our low price policy you'll be totally sure of getting the best bargain for your Lexmark X464 de toners. It's Cartridge Save's mission to meet the needs of each buyer by giving you great prices on all top quality Lexmark X464de toner which will function dependably every single time you print something. You'll get free next day delivery on Lexmark toner cartridges. Spend significantly less and order your cheap Lexmark X464de toners when you use our shop. Meanwhile, you can buy a cheap Lexmark X464-de toner by telephoning our orders line. Just remember, Lexmark X464 de laser toners dispatched from us are accompanied with our no quibble money back guarantee that gives you the chance to obtain a 100% refund so customer care is not difficult to get in touch with. We're offering next day delivery, high quality cartridges along with the lowest prices. It makes perfect sense to stay with Cartridge Save for X464-de toner cartridges. 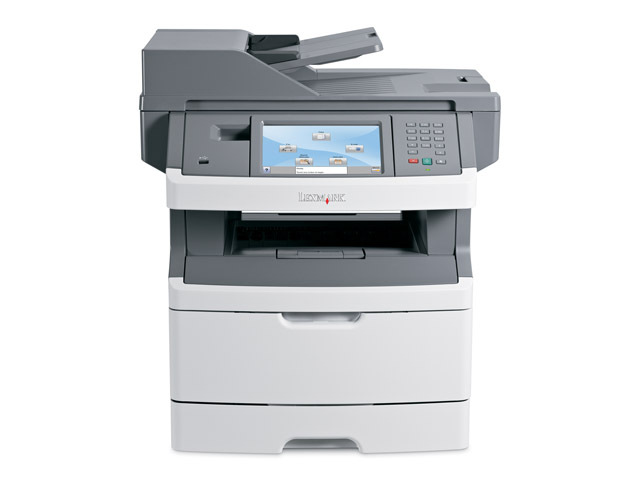 Offices with limited spaces may benefit from the Lexmark X464de MFP. This multifunction unit can print, scan, copy, and fax. It features an intuitive touchscreen display and comes with an ADF and automatic duplexer. It has an 80,000-page monthly duty cycle and offers a maximum print resolution of 1,200 x 1,200 dpi. The Lexmark X464de mono laser printer has a 128 MB memory that can be expanded to 640 MB plus a 500 MHz processor. Wi-Fi is optional and paper handling is low. The Lexmark X464de comes in grey and white. It features a 7-inch colour touchscreen display on its control panel along with a numeric keypad. The total paper handling capacity is 850 sheets with the optional paper tray. The Lexmark X464de mono laser multifunction printer measures 20.9 x 19.2 x 17.2 inches and weighs 22.7 kg. It has a speed of 40 ppm and offers USB and Ethernet connectivity. The network-ready Lexmark X464de 4-in-1 MFP is easy to share not just for its built-in Ethernet, but also for its compatibility to several operating systems including Linux, Windows, and Macintosh. The Lexmark X464de multifunction printer delivers good quality prints, scans, copies, and faxes and has a handy touchscreen display. Users will have no trouble with the Lexmark X-464de printer from setup to operation. It comes with integrated duplexer for double-sided printing. Optimum efficiency can be achieved by installing an extra high capacity black Lexmark X464de toner into this printer. Even when upgraded with an optional paper tray, the Lexmark X464de all-in-one printer has poor paper handling capacity, especially for a workgroup unit. Wi-Fi must be bought separately.